Humans have always hoped that death wasn't final, and this book introduces the photographer who offered proof that the dead are still with us. William Mumler, a photographer in the mid-1800s, took a self-portrait that appeared to include his deceased cousin. 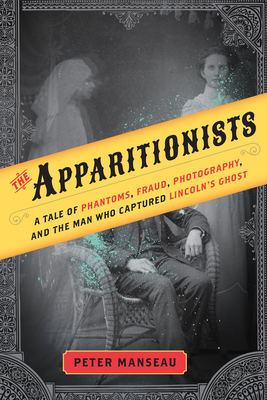 The resulting publicity spurred him to start a business taking "spirit photographs." He went on to take hundreds of these spirit photographs, bringing comfort to many who had lost loved ones to disease or war. He famously photographed Mary Todd Lincoln with the ghost of her husband behind her. Mumler, ultimately brought to trial for fraud, was found not guilty but stopped photographing "spirits." His life is contextualized through contemporaneous historical figures such as Samuel Morse, Mathew Brady and P.T. Barnum. Manseau brings disparate historical threads together to create an engaging narrative history.